This accessible three-day executive education course provides an intensive introduction to the field of complexity as it relates to Networks and Big Data. Through lectures, exercises, and interactive discussions with prominent SFI faculty and your fellow participants, you will learn how methods and tools at the forefront of complexity science are being applied to modeling, predicting, and impacting the behavior of systems across many disciplines. This course is specifically designed for professionals, faculty, students, and others who are eager to explore and apply ideas from complexity in their own fields. No background in science or mathematics is required. We particularly encourage professionals, managers and policy-makers in business, government, and nonprofit organizations; industrial research and development staff; social work and education professionals; journalists; and university faculty and students to take part in this collaborative opportunity to learn, and apply, the latest approaches to critical problems. Mini Project: Software platform options and downloads, discussion on tools and uses. Michelle Girvan is an Associate Professor in the Department of Physics and the Institute for Physical Science and Technology at the University of Maryland, College Park. She is also a member of the External Faculty at the Santa Fe Institute. 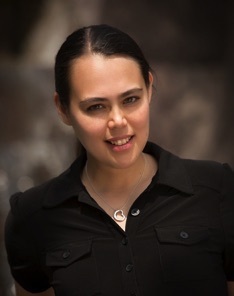 Her research operates at the intersection of statistical physics, nonlinear dynamics, and computer science and has applications to social, biological, and technological systems. More specifically, her work focuses on complex networks and often falls within the fields of computational biology and sociophysics. While some of the research is purely theoretical, Girvan has become increasingly involved in using empirical data to inform and validate mathematical models. This accessible three-day executive education course provides an intensive introduction to the field of complexity as it relates to Networks and Big Data.